Wicked is one of the most popular musicals on Broadway. 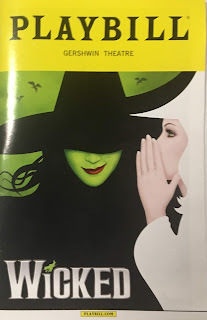 Taking a different look at the witches of Oz it has become a smash hit despite mixed reviews and few Tony wins. It can be difficult to get tickets even after it has run for a decade. Luckily there is a lottery you can go to win tickets to the show. This lottery is a dying breed, an in-person lottery. It is held two hours before the show, with entries being held a half hour beforehand. This is an easier lottery to win because it takes place in person so only a limited number of people win. This is by no means a guarantee but it is definitely a better bet than any of the online lotteries. If you win you can purchase up to two tickets which cost $30 each. If you don't win there is a chance discounted tickets may be offered to you at more quiet times of the year. Earlier today Disney confirmed a long-standing rumor that Mickey and Minnie's Runaway Railway will be coming to Disneyland in Anaheim. But hidden in that announcement was another hidden confirmation of a recent rumor. Mickey and Minnie's Runaway Railway will not open in fall 2019 as was originally announced, instead, it was delayed until spring 2020. No word on what caused this delay or if it is related to the Rise of the Resistance delay, as these two rides use similar ride systems. The ride should be great when it finally opens, considering a second is already being built, but it is disappointing that this ride will not be ready for the opening of Star Wars: Galaxy's Edge as it was originally intended. The brand new ride from Disney Hollywood Studios will now be recreated in another Disney resort around the world in Disneyland. 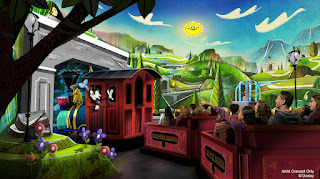 At Disneyland, it will be an expansion of the Toontown area. No word on where it will be located, but rumors state it will be placed in the backstage area meaning the only thing that will close for this ride is the Gag Factory which will be replaced by the entrance to the ride as well as the backstage entertainment building. It is being stated it is an addition to the park so Roger Rabbit's Car Toon Spin is likely safe for now. The famous mouse will now have a ride in both of the American Disney Resorts. Considering the ride has not even opened yet Disney must be extremely confident in this new ride. It also appears, based on the announcement on the Disney Parks Blog, that the ride will feature unique sections for the Disneyland version, meaning they will not be full clones. Happy Earth Day everyone. Today in celebration of the holiday Disney made a surprise announcement of a new replacement for Rivers of Light. 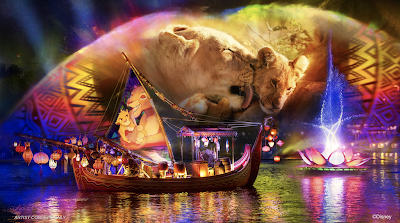 It appears they will take an approach similar to IllumiNations at Epcot where they will keep the same Rivers of Light theme while still changing the show. IllumiNations had been multiple different shows before its current Reflections of Earth version and now Rivers of Light will do the same thing with the new show Rivers of Light We Are One. The new show will open Memorial Day weekend only about a month away. Today we lost a cultural icon, the spire of Notre-Dame. This was almost a millennium of history lost. Being a theme park based site we are going to talk about the influence of Notre-Dame on Disney and the Disney Parks. Now, many Disney fans know that Sleeping Beauty Castle is primarily based on Neuschwanstein Castle. But one specific spire is inspired by the lost feature of Notre-Dame. This specific section of the castle was inspired by Notre-Dame and features a scaled-down recreation of the spire that was lost in today's devastating fire. This is by no means the only time Disney has been inspired by the historic cathedral, with an entire animated film, The Hunchback of Notre Dame being set there, based off of Victor Hugo's novel of the same name. Epcot is currently undergoing a massive renovation and almost no part is remaining untouched. This includes the parks unoffical mascot. Disney just announced a brand new ride replacing Journey Into Imagination with Figment in Epcot's Future World. 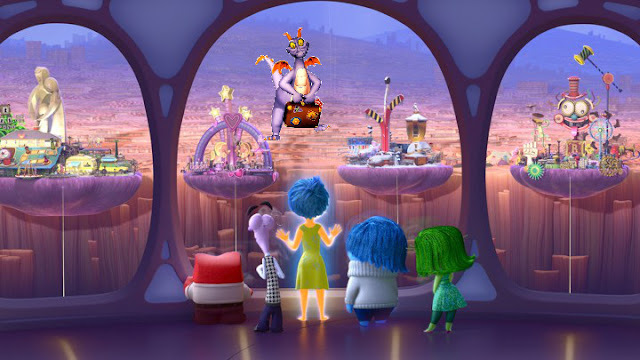 After the Imagination Institute closed, Figment decided to move in with Joy, Sadness and the rest of the emotions from Inside Out. You will be able to enjoy new experiences like Skunk Figment's journey to goofball island. And don't worry Epcot Center fans, you will be able to see the return of a scene from the original Journey Into Imagination. Enjoy the return of the art scene as Disgust points out all the flaws in the artwork. This should be a great way to make Epcot more timeless and more Disney while still keeping everyone's favorite purple dragon around. Welcome to a new series of articles here at TPE. This series will help you find rarer Disney characters at the US Disney Parks. For all the featured characters go here. We will start off with a character from a popular 90s Disney TV show and a movie which recently has attained a cult following: Max Goof. Max is the reimagined son of Goofy from Goof Troop and A Goofy Movie. He used to have a relatively large presence in the parks but has gradually faded over the past decade as he has not been used in any other Goofy cartoons. That does not mean it is impossible to meet him. He has been known to meet at random times at the major cast gates of the World Showcase in Epcot along with other characters. You're best bet to see him is at Minnie's Breakfast at the Plaza Inn at Disneyland. He is a regular there almost every single day. This is the easiest way to find him without going to Paris or Tokyo where he is still more common.